A project with Bradford City of Film to make films in a day with Primary School classes, 2014. Working with established filmmakers, pupils were grouped in twos and threes to devise, script, storyboard, shoot and edit a 1-minute film using iPads. 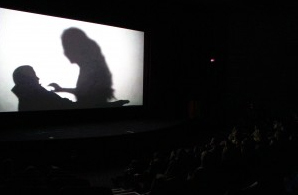 Over 400 pupils attended screenings of their films at the National Media Museum in July. The programme is funded by Cape UK on behalf of Arts Council England.